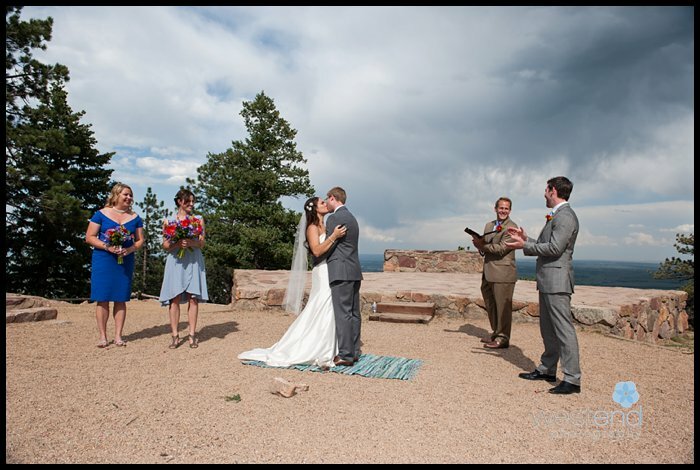 Boulder and Colorado in general is a place that loves it’s dogs and I often see them at wedding ceremonies. Here are a few tips for including your furry family member. Designate a friend to be in charge of your dog that day or hire a dog walker. 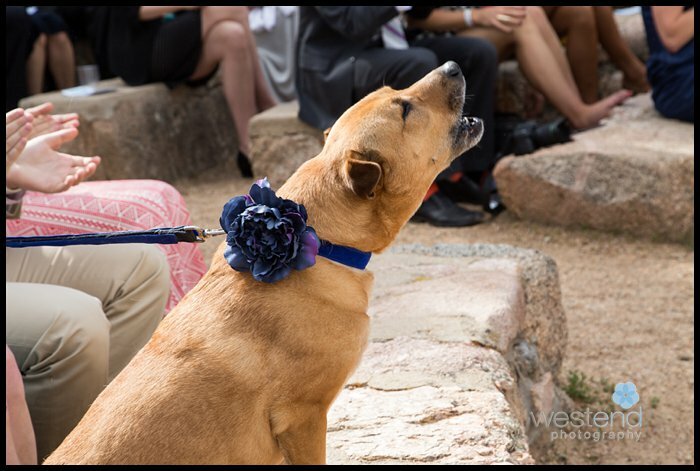 A long walk before the wedding will make for a more relaxed dog during the ceremony. If the dog isn’t part of the ceremony then have the dog walker bring the dog just for the family photos after the ceremony. If your dog is part of the ceremony be sure to include him in the rehearsal for his sake as well as the dog handler. 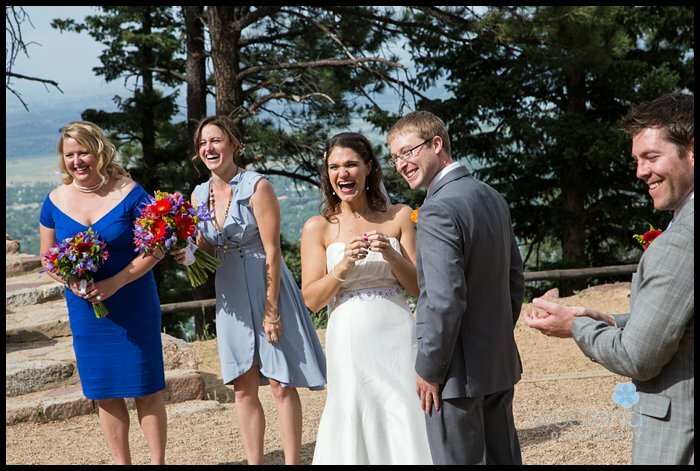 If something unexpected does happen on the wedding day it’s easier to recover if everyone knows the plan. Be sure the person in charge of the dog is strong. Like Von Miller strong. It’s entertaining when a dog bolts away after a squirrel as it comes down the isle but not so much 15 minutes later when it’s still missing. If a venue has a no pets policy ask if they will make an exception. 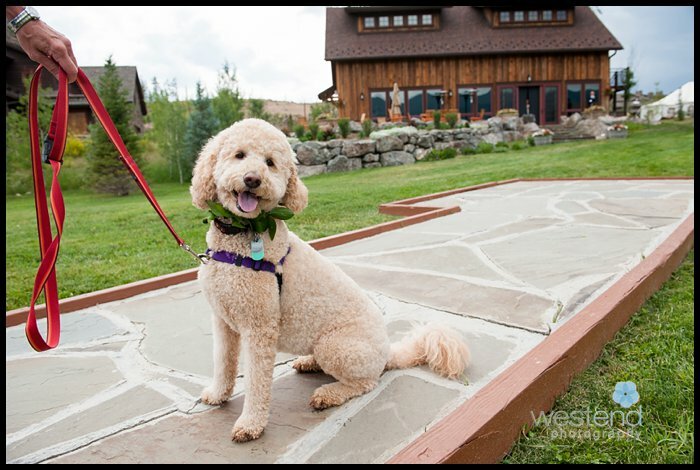 Some venues will give you an exemption for photos with your dog or waive this policy entirely just for the wedding day. Does your dog have the type of personality that will benefit from being there? A dog that enjoys being around people and getting a lot of attention might do great. If your dog is shy like one of mine, it’s probably better to leave her at home. 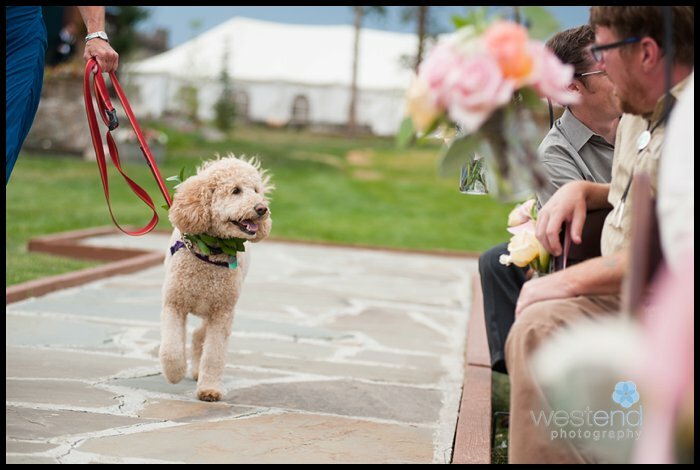 Let your wedding party know that you are including your dog in case they have allergies so they can prepare. Have a cool place other than the car where your dog can hang out before and after. Be sure to bring water for your pooch. If you’re prepared for some possible anarchy and chaos that will create stories for a lifetime, including your dog can add a lot of fun and great photos to your day.